Wool is one of nature’s most amazing ‘smart fibres’, with a complex structure and natural properties that cope with extremes of cold and heat. Our high performance insulated packaging is designed specifically for direct deliveries of chilled and frozen foods including meat boxes, fresh fish and seafood, cheeses and deli items, fresh fruit and veg, gourmet menus and ready meals. Woolcool has been rigorously tested and proven to keep produce within the temperature ranges required by the Food Standards Agency. Of course, Woolcool keeps products warm too! Wool fibres are hygroscopic, which means they absorb and release moisture, a natural thermostat that maintains stable temperatures. All our products are rigorously tested to meet the challenges of temperature controlled logistics. We can provide quantifiable performance data to assist with legislation compliance. An Award-winning track record in providing bespoke passive packaging systems means that we can offer solutions for a wide range of temperature sensitive products, from Chilled to Ambient, tailored to your requirements. 100% felted sheep’s wool which is washed in a natural process, scoured then sealed within recyclable industry grade micro-perforated polyethylene wrap. Proven to keep food contents within various temperature windows, in Chilled, Ambient and Frozen chains, for at least 24 hours and in many cases, much longer. Rigorous testing to industry standards in our own environmental chambers, supported by independent trials, consistently prove that Woolcool performs. HOW DOES WOOL REGULATE TEMPERATURE? Wool fibres are incredibly effective at absorbing moisture from the air which minimises humidity and condensation to maintain stable temperatures. Woolcool has been independently proven to keep pharmaceuticals within the critical temperatures range. We offer qualified performance from 24hrs to over 120hrs. Woolcool sustainable packaging is manufactured on a commercial scale to meet the increasing demands of international markets. Wool is sourced and processed specifically for making Woolcool to ensure it doesn’t contain additives, such as borate or polyester, found in other types of wool insulation. The washed fleece is garneted, needle-felted and cut into strips which are hygienically sealed within recyclable PE film with micro-perforations to allow the hygroscopic function. Fleeces are washed and scoured in accordance with PPC regulations and ISO14001 environmental management systems, without the need for extreme temperatures, chemical treatments or additives. Beneficial by-products of the washing and scouring process include a nitrate and mineral rich sludge which is used as natural fertiliser or made into biodegradable slug pellets. Wool is an amazing Smart Fibre: not only is it is natural and sustainable, but is a superior insulator. Why compromise on sustainability or performance when you can have both? Woolcool is the packaging of choice for companies striving to comply with UK government and EU requirements, including the European Commission’s guidelines for the distribution of perishable products, Packaging Essential Requirement Regulations, Producer Responsibility Obligations (Packaging Waste) and businesses’ Duty of Care. Woolcool insulated packaging products are reusable and fully sustainable, significantly reducing companies impact of waste to landfill. Since 2009, many thousands of tonnes of non-biodegradable plastic packaging waste has been saved from landfill by companies switching to Woolcool. Woolcool was launched in 2008 and the innovative, sustainable design has scooped an impressive haul of awards in the packaging, business and environmental arenas. 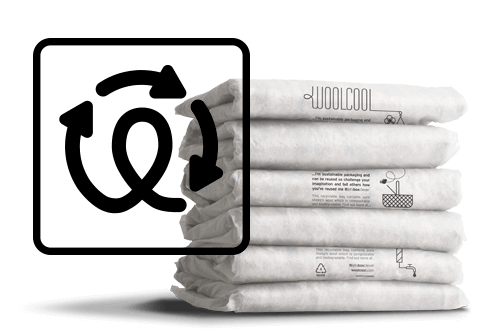 Woolcool remains the only packaging company using a range of sheeps wool insulated packaging available on a commercial scale. 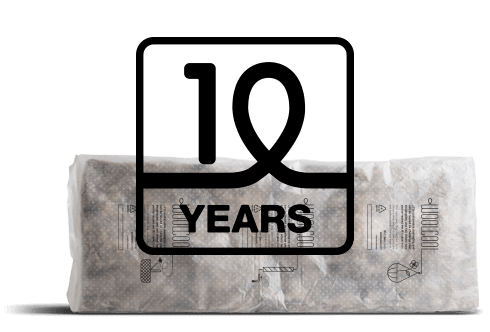 Woolcool, using patented technology, produce high performing insulated packaging.